The Cinch can save an outfit! They are made to hold a shirt or dress in at the waist at the back. And they can be used over and over for different outfits. 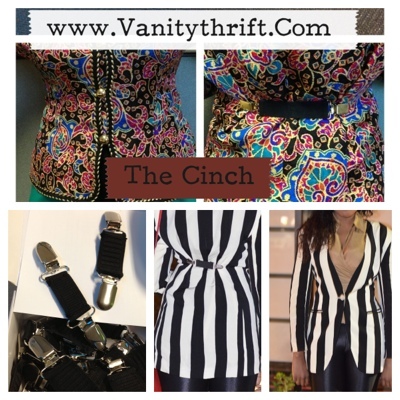 Using a The Cinch can make that loose dress or top fit and give it some curves. If you have an outfit that every time you put it on you stand in front of the mirror and cinch the waist in at the back with your hand to make it fit correctly and look better, then this is the thing you need!